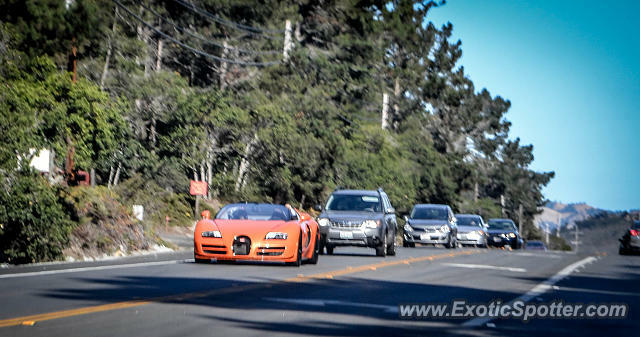 Spotted this Orange Bugatti Veyron Grand Sport Vitesse in Pebble beach CA. I believe this is the same Veyron that was featured on an episode of Jay Leno's Garage. True that . I think they bringing Tanner Foust down . He has way more talent . IDK where you got your info but he doesnt own an SS... He states that in one of his videos that he snt a fan. He does own several other bugattis but not a veyron. I've not seen that episode... Then again I've barely seen any. Good to know! It may very well be Leno but I couldn't see as I passed it if it was him or not. Sick! I wish I could see that.